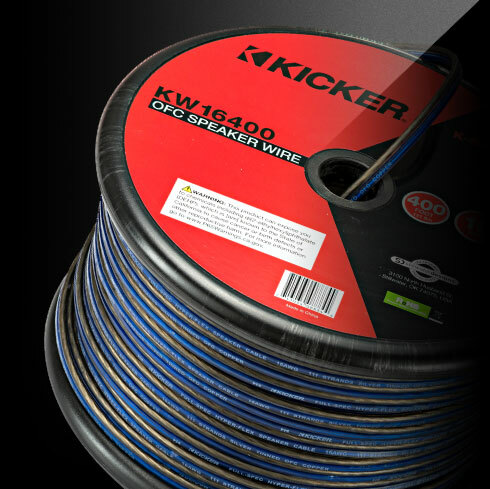 The K Series speaker wire are identified by touch for easy install. The square Frost Blue wire is perfect for positive terminals. The Frost Clear is a rounded shape. Both PVC cables come silver-tinned and oxygen free for excellent signal transfer. 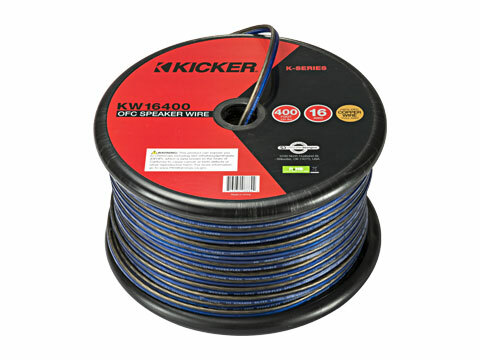 This 400-foot spool of 16 Gauge wire is perfect to connect your speakers to powerful amps. This speaker wire can be identified by touch for easy install. The square Frost Blue wire is perfect for positive terminals. The Frost Clear is a rounded shape. Both cables come silver-tinned and oxygen free for excellent signal transfer and sonic accuracy.